Median household income in the United States has stagnated for decades and one way to boost that income could be to reap more gains from trade. Trade supports higher-paying jobs, increases the innovation and productivity growth that are necessary to support sustained increases in living standards and also expands the purchasing power of consumers. The Trans-Pacific Partnership (TPP) negotiated by the United States and eleven other countries along the Pacific Ocean would knit together a market covering nearly 40% of global GDP. The agreement would eliminate nearly all of the tariffs facing American exporters, break through many of the often formidable non-tariff barriers companies face, and also help level the playing field by requiring more stringent labour and environmental standards. The agreement has documented benefits for the U.S. economy. One study by the Peterson Institute found that the deal will increase real incomes by $131 billion annually by 2030, the equivalent of nearly $1,000 per household, while expanding exports by $357 billion annually. Moreover, the same study found that delaying TPP for even a year would result in losing $94 billion in total gains in net present value. 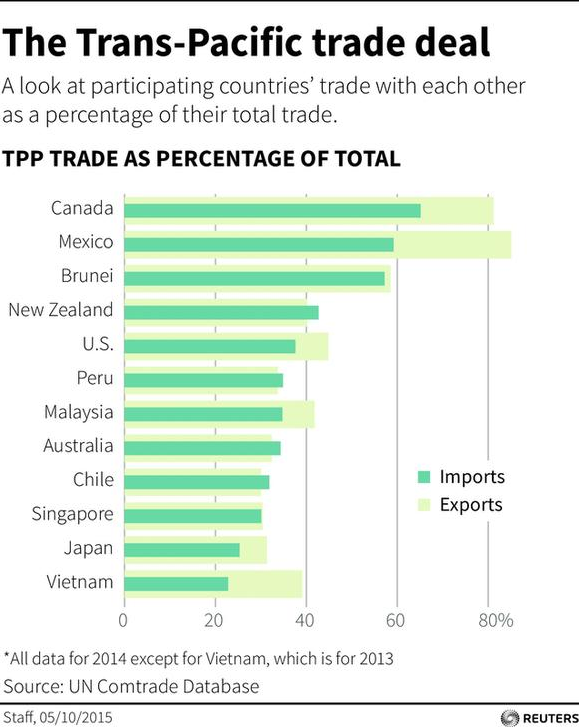 But many Americans remain skeptical about the TPP in particular and trade agreements in general. These concerns relate to the impact trade would have on income inequality and on workers who will be displaced by the agreement. Let us consider each of these concerns in turn. First, while both labour and capital would gain from the TPP, the Peterson Study finds that the percentage gains to labour would actually be greater than the gains to capital. In addition my colleague Tyler Moran and I have found that households in all quintiles will benefit. Once differences in spending shares are taken into account, the percentage real gains to poor and middle class households are actually slightly larger than those at the top. Thus not only will the agreement confer net benefits to households at all levels of income, but the agreement will also result in a minor but positive impact on income inequality. The second major concern is that the TPP will displace US workers. It is important to understand that the large majority of job displacement that U.S. workers face is the result of technology, market developments, and other factors. 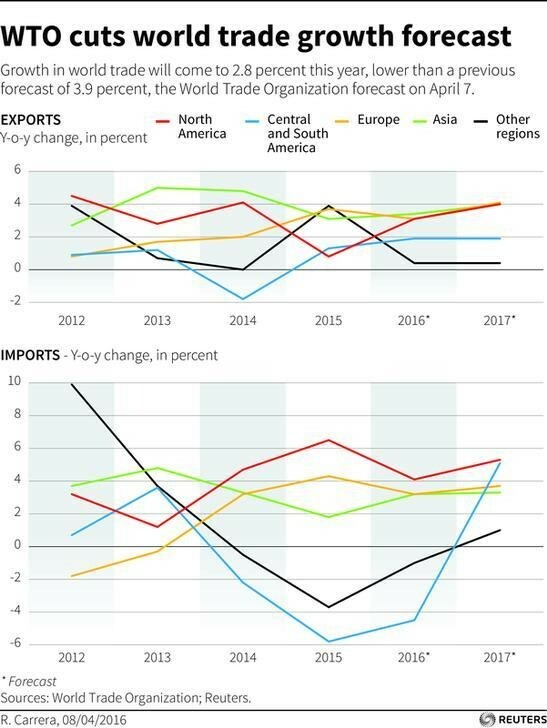 But there is no question that adjusting to Chinese import growth has been costly for US workers and although the TPP will generate job growth by stimulating US exports, it will undoubtedly also result in some US workers losing their jobs to import competition. But perhaps surprisingly even when the costs of any worker adjustment are taken into account, the TPP is still a good deal. Although the costs of job loss can be substantial for individual workers who are displaced, in the aggregate these losses are likely to be a small fraction of the agreement’s overall benefits for workers. Being laid off is a very painful experience. While a few workers may be fortunate to quickly find new jobs, most will not be that lucky. Some workers withdraw from the labour force. Others accept jobs that pay lower wages because they change occupations or lose seniority. Moreover, the lifetime impact for displaced workers is much larger than the initial wage loss and cost of unemployment because changing jobs can lower the trajectory of their earnings throughout their subsequent working life. I have estimated the costs that TPP would impose on displaced workers using the severe assumption that each displaced worker will lose 1.4 times their annual income over their lifetime. I explore costs to workers under various assumptions about the ability of firms to adjust to increased import competition by reassigning workers to meet demand growth from other sources and by voluntary attrition. I find that between 2017 and 2030 the annual benefits from TPP are between 12 and 100 times the costs. Moreover, after 2030, the TPP becomes the gift that keeps on giving, since, once the economy has adjusted, the economy simply reaps the annual benefits that grow with the volume of trade. Moreover, by expanding the size of markets and keeping companies on their toes, TPP could expand innovation and raise economic growth as well. These findings lend support to the passage of the TPP but they also suggest there is a case to compensate those who lose. Since much of the loss occurs even after workers have found new jobs, it also suggests there is a need for a wage-loss insurance programme that supplements the earnings of displaced workers who accept jobs that pay less than they previously earned. A Trade Adjustment Assistance programme with generous wage-loss insurance should be part of the legislation implementing the TPP. It would be even better if the Congress followed the Administration’s proposal, and took the opportunity to pass a similar programme for all displaced workers, regardless of the reasons for their displacement. But none of this is a reason to delay an agreement whose most important impact will be more higher-paying jobs and benefits for consumers. This article is part of our Beyond GDP series. You can read more here.